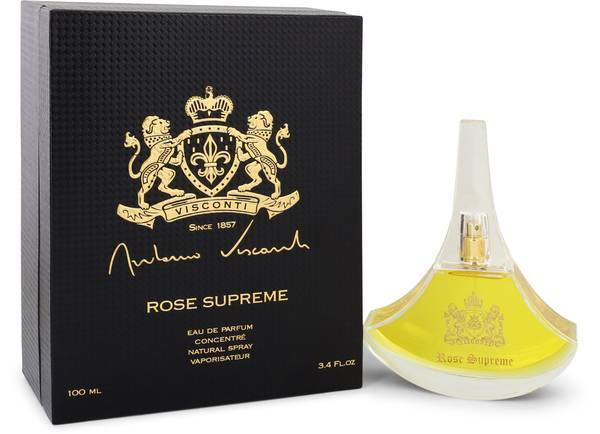 Antonio Visconti Rose Supreme Perfume by Antonio Visconti, Experience the delicate soul of Antonio Visconti Rose Supreme with every spray . 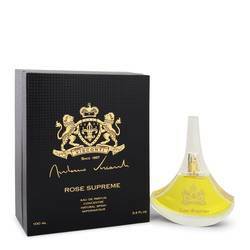 The name of this perfume comes from its floral notes of rose that provide the heart and soul of the fragrance. With this finely crafted essence, you can experience the love that a rose bouquet can create. Still, do not expect this fragrance to be soley defined as floral. Top notes of bergamot and peach blossom add a great zest of life and honey adds a lovely Read More Read More sweetness. Meanwhile, middle notes of vetiver, violet and jasmine add warmth. Finally, base notes of gray amber and musk creates animalic accords that offset any overpowering ingredient. This perfume is known as long-lasting. Antonio Visconti has provides many men and women with stunning fragrances. Each of this brand’s bottle adds elegance to your collection. If you are looking for a scent that works at any time of day, then this perfume is sure to become your favorite. All products are original, authentic name brands. We do not sell knockoffs or imitations.